Shoes are one of the most widely posted items in the UK, with thousands of pairs being shipped from retailers and from sellers on peer to peer selling sites such as eBay. Shoes are a precious commodity to us, offering protection from the elements as well as style: so, naturally, we want to take care of them, especially when they enter the postal system. Follow our golden rules to posting and packaging your shoes to ensure they arrive in pristine condition. There isn't a one size fits all guide to packing shoes, as the level of protection needed to prepare them for posting will vary depending on the type of shoe you send. For instance, a pair of running trainers won't need as much protection as a pair of expensive, suede boots or a pair of strappy stiletto heels. Depending on the material and type of shoe, we recommend wrapping your shoes in either acid-free tissue paper, similar to what most store-bought shoes are wrapped with, or bubble wrap. Take special care to wrap any stiletto heels in bubble wraps and protect buckles, chains, zips or other embellishments to prevent damage. Stuff the shoes or boots with tissue paper to help them retain their shape during transit. How should your shoes be posted? Placing the shoes in a box for postage is highly recommended, as using a box greatly reduces the risk of the shoes being damaged during transit. If you can, try to use the box the shoes originally came in, and use the original packing materials to package them (with added protection for peace of mind). The shoes will fit into their box perfectly, meaning they won't be able to move around as much, potentially causing damage to the shoes. If you don't have the original box, try to ask at local shoe stores for spare boxes, or buy the best fit box you can and pack it so the shoes are unable to move around. Take care to add bubble wrap and tissue paper to any heels and embellishments. You can either tape up your shoebox and wrap with paper, or place it into a larger box for added protection. Use tissue paper, bubble wrap or polystyrene to fill the space in the box. Some shoes, such as soft ballet pumps and flip-flops, will fit into a large jiffy bag and are unlikely to be damaged. 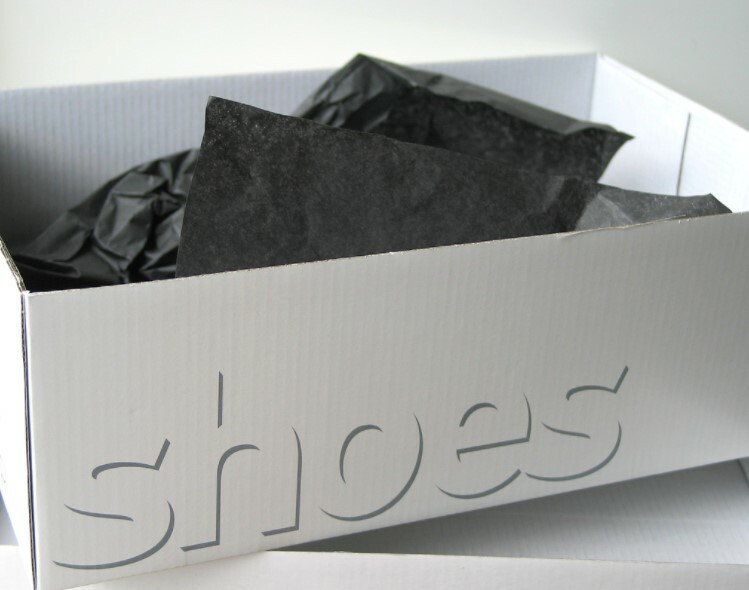 Before you send your shoes off to their new home, ensure that the shoes or box have been wrapped in waterproof materials, that the box is properly sealed and is sturdy enough to take the weight of the shoes inside. 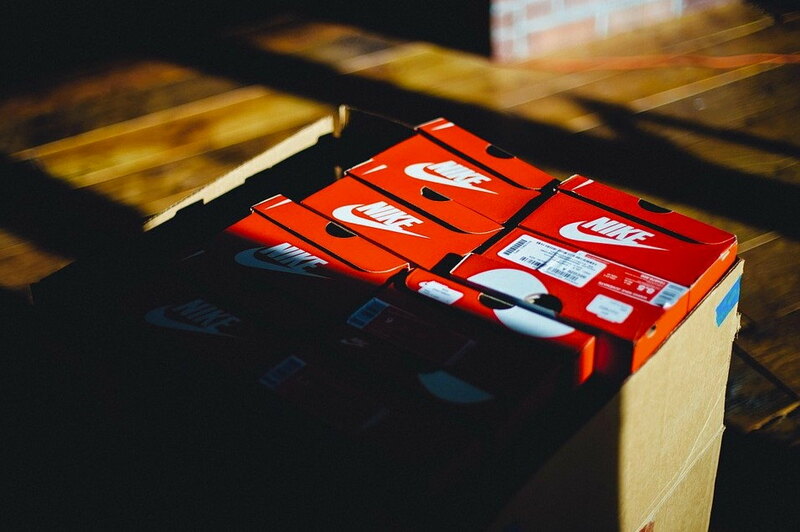 If you shake the box gently, you shouldn't be able to hear the shoes moving around inside the box.